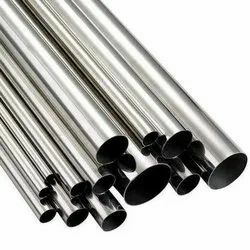 Pioneers in the industry, we offer 310 stainless steel round pipe from India. We are dealing in 310 Stainless Steel Round Pipe that is available in all grade and sizes. Fabricated using premium quality raw material, these bright bars are appreciated by our clients for their high strength, corrosion resistance and durability. Moreover, we also make sure that our range meets the international quality standards. Looking for Stainless Steel Round Pipe ?